A new Saint Seiya project is announced! 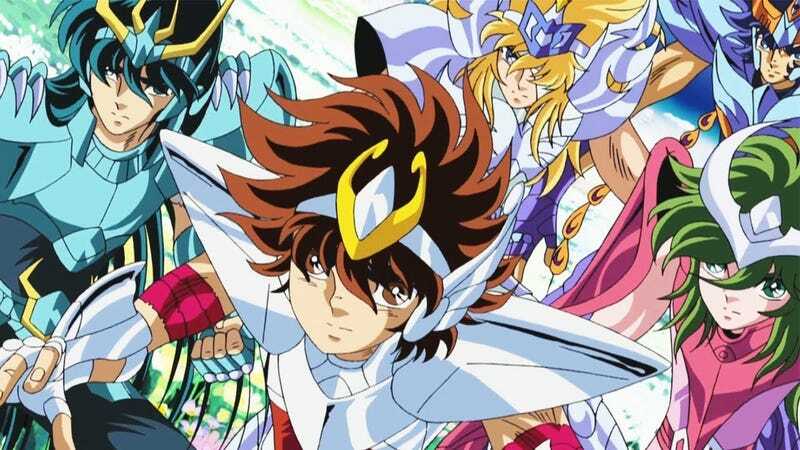 During these season of the manga of “Saint Seiya: Next Dimension” Kurumada announced that he was working on a new project that would “hype everybody”, since the announcement didn´t said Saint Seiya everyone expected that the project would be a new manga or a continuation of a past one like how he did with Otokozaka; still it was revealed on the Season finale that the project will be unveiled on Akita Shoten Champion RED Magazine to be released on November 19. Now, within the pages of the new Akita Shoten Champion RED magazine, and near the newest chapter of “Saint Seiya: Saintia Sho” (that came back after a 1-month break) that the Kurumada´s new project is related to Saint Seiya. What would it be? Who knows; but it´s a manga related to Saint Seiya and by the hands of Kurumada, it could be a Gaiden or a promotional chapter; who knows? At the very least though we have to wait only 1 month to know! The new Season of “Saint Seiya: Next Dimension” will be coming on Spring 2018.